Severino Reyes (1861–1942), writer and dramatist, wrote the libretto to a total of twenty zarzuelas in which he worked closely with composers ranging from Fulgencio Tolentino (1870–1940) to Antonio Molina (1894–1980). Unfortunately, only eleven of these works have extant music today. 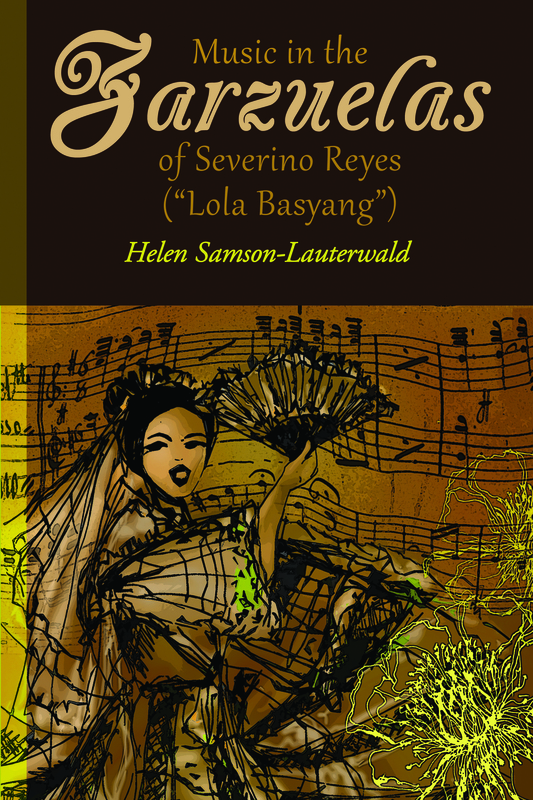 Nevertheless, they present a good cross section of musical theory and practice in the Philippines early in the twentieth century.The author also includes reproductions of original zarzuela compositions as found in the appendix, and recommends their possible revival today even as individual compositions. Helen Samson-Lauterwald obtained her Doctor of Philosophy (PhD) from the University of Cologne in Germany. Her major field was Musicology, and her minors were English Studies and Modern History. She also holds the degrees Bachelor of Arts in English, Bachelor of Music in Piano, and Master of Music in Musicology all from the University of the Philippines. Her books The Bamboo Organ of Las Piñas (Bamboo Organ Foundation, 1st ed., 1977; 2nd revised and updated ed., 2006, ISBN 971-93356-0-2) and Contemporary Filipino Composers: Biographical Interviews (Quezon City: Manlapaz Publishing Company, 1976) saw print in the Philippines, whereas her work Die Zeitgenoessische Kunstmusik der Philippinen im Spannungsfeld zwischen nationalem Erbe und europaeischem Einfluss (Regensburg: Gustav-Bosse.Verlag, 1989, ISBN 3 7649-2372-5) was published in Germany. Her proficiency in languages has seen fruit in the publication of her Spanish-English translations entitled Diego Cera: Biographical Impression (Manila: UST Publishing House, 2008) and Set Your Hearts Above (Quezon City: Rex Bookstore, 2010). Together with Prof. Heinrich Kelz of the University of Bonn, she is coauthor of the first and only German-Filipino Filipino-German dictionary, Wörterbuch Deutsch-Filipino Filipino-Deutsch (Universitätsverlag Brockmeyer, ISBN 978-3-8196-0861-2). She was the recipient of a prestigious research fellowship from the Alexander von Humboldt Foundation in the field of Musicology. From another alma mater, Miriam College, she received an Amazing Alumni Achiever Award in 2008. Her biography appears in the International Who’s Who in Classical Music. She lives today in Odenthal (thirty kilometers north of Cologne), Germany.